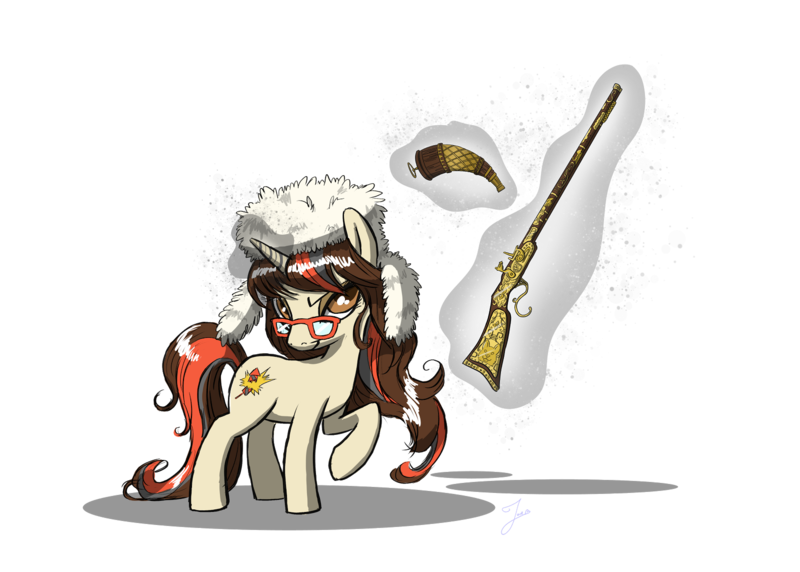 Lurking Rhythmically: September 2018 - Ponies. Pistols. Prepping. My apologies for not putting this up sooner. Unlike last year, the video wasn't immediately uploaded to YouTube; instead, I needed to download three hours of a Facebook livestream, edit out my part of it, and upload it to YouTube. Combine that with the fact that GRPC wore me out and I had to drive to Boca Raton on Thursday to give a presentation at Florida Atlantic University titled LGBTQ Does Not Mean "Victim!" and that all adds up to "Today is the first opportunity I've had to do all this." I thank you for your patience, and I hope you enjoy my speech. Effective immediately, the Pink Pistols have merged into Operation Blazing Sword. Effective immediately, I am now in charge of the Pink Pistols at the national level. 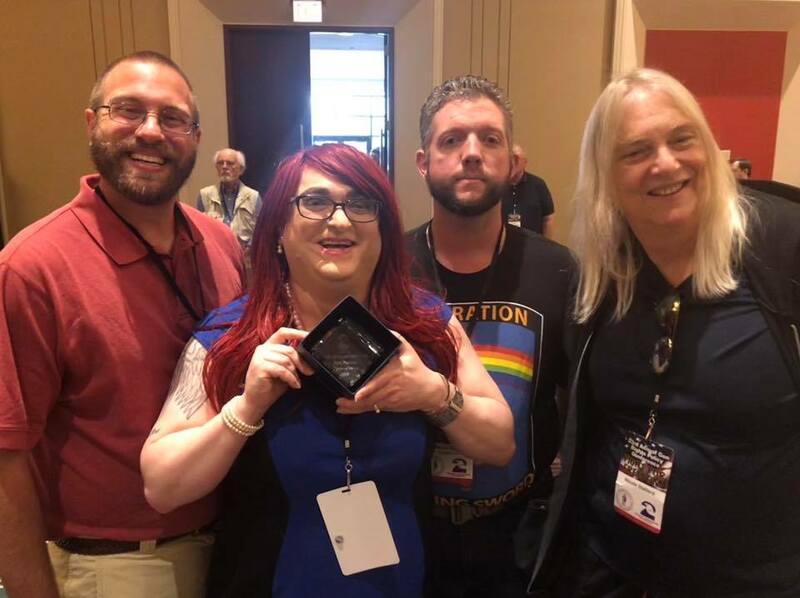 Effective immediately, we are now the largest queer pro-gun group in the country. I will now explain each point in detail. Effective immediately, the Pink Pistols have merged into Operation Blazing Sword. This is the culmination of a process which began last year when Gwen Patton, then First Speaker for the Pink Pistols, joined our Board of Directors to oversee the merger. Now that Operation Blazing Sword and the Pink Pistols are legally one entity, Ms. Patton has stepped down from her position as First Speaker and has ceded that privilege and responsibility to me. She will however stay on as a Member of our Board; she has a wealth of knowledge and experience that comes from 18 years of working with the Pink Pistols, especially filing many judicial amicus briefs for some very high-profile cases, such as: DC. vs. Heller; Peruta vs. San Diego County; and Grace & Pink Pistols vs. DC. Ms. Patton’s advice will be welcome for as long as she wishes to give it, and even though she has serious health problems, I hope she is around to advise me for many more years. Effective immediately, I am now in charge of the Pink Pistols at the national level. Each leader of the organization chooses their own title, and the title which I have selected for myself is “Coordinator”. This choice reflects my belief that the current dispersed and disorganized nature of the Pink Pistols has outlasted its purpose. When the Pink Pistols were created, being outed as queer could result in losing one’s job or worse, and so by design there were no member lists which could be subpoenaed and no central organization which could be suborned or influenced. Unfortunately, this also meant that each chapter was on its own and could not expect help from the organization as a whole. 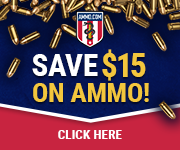 If a chapter wanted to host an event such as a concealed carry class, then members of that chapter would need to raise that money themselves or else that event would not happen. While that dissociated structure may have been necessary 20 years ago, in today’s social media world, the ability to connect with others is crucial. 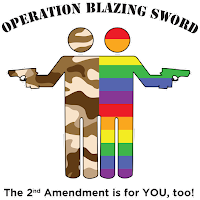 Because Operation Blazing Sword is a 501c3 tax deductible charity, we can solicit funds at the national level to help a chapter rent a booth at a Pride Festival, buy ammunition for a range day, or hold a community seminar. 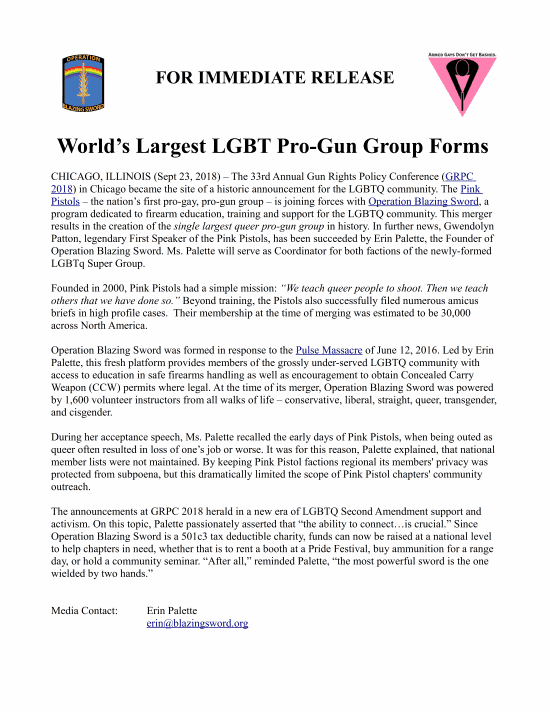 Effective immediately, we are now the largest queer pro-gun group in the country. While there are only 55 active Pink Pistol chapters in North America, there are an estimated 30,000 members across those chapters. Furthermore, there are also over 1,600 Operation Blazing Sword volunteer instructors across America, in every single state and in every major metropolitan area. All of our volunteers are eager to teach and are queer-friendly, and many of those volunteer instructors are themselves queer or have family members who are queer. On a personal note, I am thrilled that our two organizations are now one. I was a Pink Pistol before I created Operation Blazing Sword, and in the days after the Pulse Massacre, when I realized just how huge my little project might become, I asked Gwen if she wanted to take control of it. She declined, due to being extremely busy talking with the media and dealing with the sudden influx of new Pistols, but she told me that my project was in good hands and that, if possible, we would later join up. As it turns out, we DID join up later, albeit later than either of us expected, and in a manner that neither of us foresaw. With this merger, we have now become the organization that I hoped we could be: with Operation Blazing Sword being a program for outreach, education and training; and Pink Pistols being a program for community involvement, mutual support and continuing education. 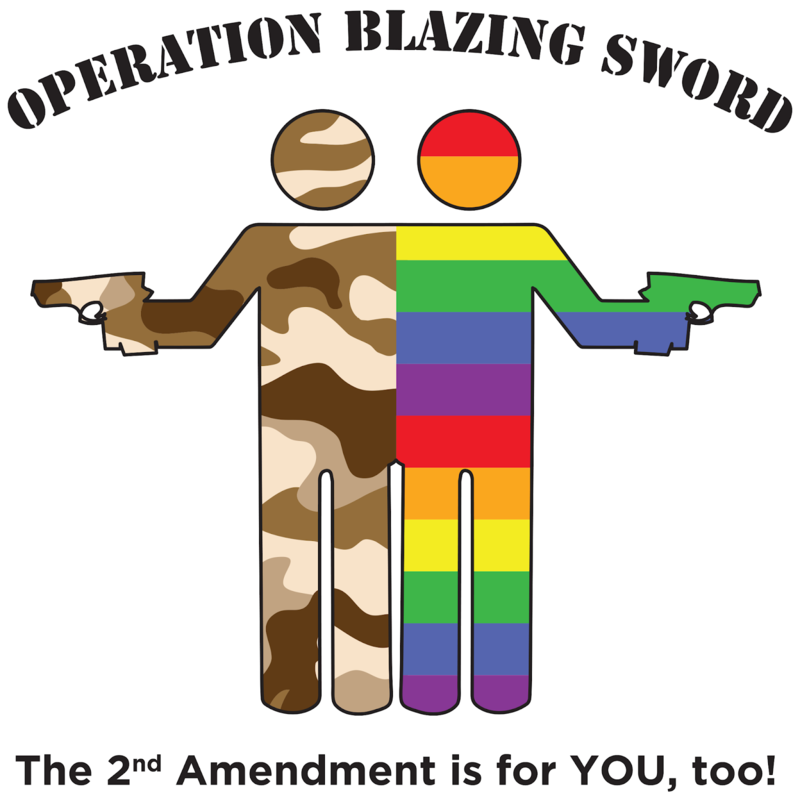 It is my wish that those people who have received Operation Blazing Sword training and who decide to become gun owners then go on to either join a Pink Pistols chapter or form one in their area. Since we are now the same organization, both groups will have my full support in this regard, and each group has resources that the other will find helpful in completing their mission of education, of safety, and of community. After all, the most powerful Sword is the one wielded by two hands. As promised, here is a video of my AMM-Con panel. 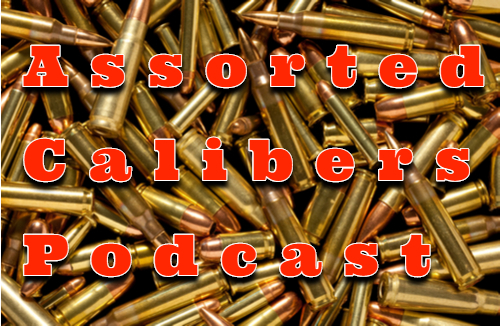 Special thanks to Paul Lathrop of the Polite Society Podcast for letting me post this, and to Matt of Geeks Gadgets and Guns podcast for chopping my segment out of a larger video. Love you guys! I apologize for not repeating the questions into the microphone so that people could hear it. If I recall correctly, the first one was something like "Do you feel that your lifestyle choice makes you more vulnerable to violence?" and I turned it into a teachable moment regarding why "choice" was not the word to use. The second question was basically a restatement of the first, asking if transgender people were especially vulnerable to violence and if I felt that meant LGBTQ people should carry firearms for self-defense. I wish I had more time to answer questions, but otherwise I think I did a fair job. ACP Episode 024: GRPC Bound! Literally the next moment after I hit "enter", my name was called. Weerd can attest that my head snapped up at I said "what.". Not "What?" or "What!" but a flat "what" of disbelief. Not surprise or excitement, but "This can't possibly be happening. Can it?" 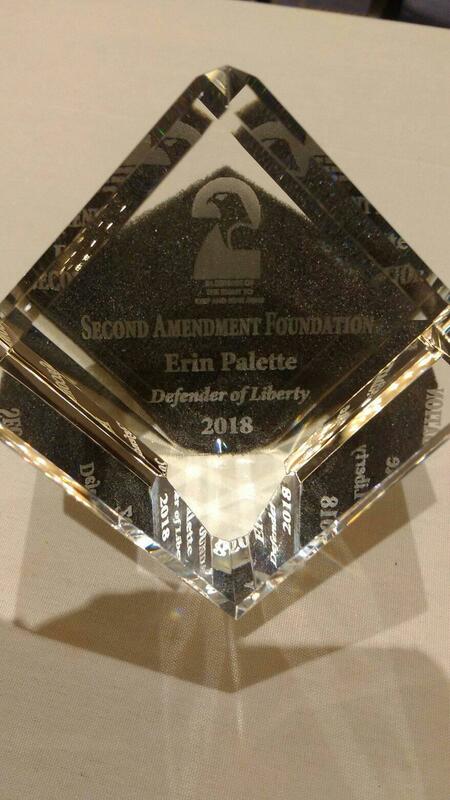 Erin Palette, Defender of Liberty 2018. My gob, it is smacked. My apologies for the silence of the past week. I've been very busy getting all my ducks in a nice little row in preparation for Gun Rights Policy Conference 2018, which I am presently attending in Chicago. I was a panelist at Paul Lathrop's AMM-Con (the conference before the conference, if you will), and I gave a pretty good presentation despite a misunderstanding regarding the nature of the panel. I hope to have video of that soon, but for right now you'll just have to wait on that. I have a VERY big announcement to make on Sunday during my presentation, and if you aren't able to attend GRPC itself I hope you will watch it being streamed to the Second Amendment Foundation's Facebook Page. I am scheduled to go on stage with Nicki Stallard at 10:45 am (but these things usually run late) and I encourage you to watch the announcement live if possible. None of our regular ACP contributors had anything this week, so Erin and Weer'd called an audible and just had an unscripted episode. It's like a mini-Mag Dump, only with less swearing by Erin. Enjoy! Paying too much for guns or knives. and we both share our memories of where we were and what we were doing on September 11th, 2001. As part of my research for the "Designated Defender" initiative that I plan to sponsor here in Florida, I had to determine how quickly alcohol was metabolized by the human body -- in other words, how long it took for people to sober up -- and I came upon some very interesting data that my gun-owning friends will find useful. The actual specifics can be found in this article by DrinkFox, "an independent worldwide resource aimed at helping individual’s make better decisions when consuming alcohol" to use their own words, with actual footnoted references to peer-reviewed journal articles listed on the page. The TL;DR version is "While increase in Blood Alcohol Concentration upon drinking varies by body mass, gender, rate of consumption and other factors, decrease in BAC is remarkably consistent at 0.016% BAC per hour and there is no practical way to speed up that rate." If you are inebriated but not drunk (below 0.1 BAC), then a 6 hours period of not drinking alcohol will result in full sobriety. If you are properly drunk (0.2 BAC or over), best wait twelve hours. If you are falling down, vomiting, and passing out (0.3 BAC or more), you're going to want to wait at least a full day, if not longer -- which likely won't be a problem, because you're going to be so hungover you won't want to do anything for a good long while. For example, let's say you are nicely impaired and want to know when it's safe for you to drive, but you don't have a breathalyzer on you. If you assume you are at 0.2 BAC, and the legal limit to drive in the US is 0.08 BAC, then 8 hours is a comfortable margin. Even though these are from 2015, I just discovered these. They're an interesting look at how Disney was once pro-gun! As an extra bonus, these videos are hosted by my buddy Chris Cheng! There really is a video here, despite the blank thumbnail. 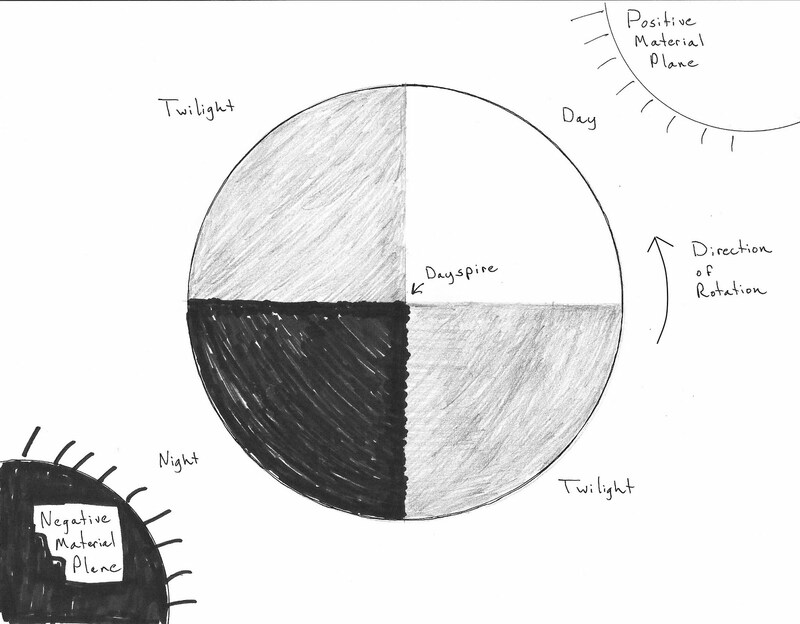 I've written before about the Day/Night cycle in Pellatarrum, but I feel it's time to revisit it because 1) it's been 8 years since I last talked about it and 2) now that I'm actually running games in the setting and not just talking about it in the abstract, I've realized that there are important mechanics that I missed. -2 to all damage rolls, including those from magic and the environment. Exception: damage dealt to undead does not suffer this penalty. +2 to Heal checks and +2 hit points regained from both natural (including resting) and magical healing. +2 to Fortitude saves and Constitution checks. Exception: living creatures below 0 hit points but who have not yet died automatically stabilize during the day, no roll required. Exception: undead are always considered "harmful to life" and therefore any Fortitude save or Charisma check (undead don't have Con scores) made by them during the day have a -2 penalty. +2 to all Positive Energy channeling that heals the living and harms or turn the undead. All undead with Channel Resistance have a -2 penalty to their will saves. All undead are considered dazzled when exposed to daylight (this has no effect indoors or underground). As you can see, the day time is inimical to the undead. However, when the Life Sun sets and the Death Sun is rampant, all that switches. +2 to all damage rolls, including those from magic and the environment. Exception: damage dealt to undead does not gain this bonus. -2 to Heal checks and -2 hit points regained from both natural (including resting) and magical healing. Exception: living creatures below 0 hit points automatically begin dying at night, no roll required. Exception: undead are always considered "harmful to life" and therefore any Fortitude save or Charisma check (undead don't have Con scores) made by them during the day have a +2 bonus. -2 to Channeled Positive Energy to heal the living and to harm or turn the undead. All undead gain +2 Channel Resistance at night, including those who already have it. Anyone who dies while exposed to the Death Sun will, barring something truly unusual, always reanimate as undead. Those who die from violence at night will almost always reanimate (sometimes within minutes or seconds after death -- take your cue from zombie movies). Those who die peacefully will probably reanimate, but at a decreased chance. How quickly they reanimate, and what into, should be a GM call. Low-level characters are usually zombies, but the nature of their death should be a factor. Higher level characters usually become more powerful types -- see the post On the Elemental Nature of Undead. During the hours of dawn and dusk, there are no bonuses and no penalties associated with the Life or Death Suns, as their presence in the sky cancels each other out. There's probably a sweet spot around 6 pm & 6 am where the suns are precisely equidistant and there are no penalties or bonuses, but making it last for any length of time disrupts the symmetry of the system. I have mentioned, both on this blog and in podcasts, that certain situations can be awkward for transgender people who are living as their true selves but who have not yet been able to update their government-issued identification. I happen to know this from personal experience, such as when I tried to register as press for the NRA convention last year and a young lady asked me for a photo ID. When I said to her "That may be a problem, because [and then I whispered] I am transgender" she looked mortified, as if she had somehow deeply offended me. I confess I wasn't thrilled to have to say it either, because I was worried it might turn this whole entire scene where a supervisor needed to be brought in, and people would be talking loudly about how THERE'S A TRANSGENDER LADY HERE AND HER ID IS OF A MAN and I really didn't want the embarrassment of everyone looking at me and judging me. I've gotten more confident about it since, but I still want to be in control of when and how I tell people I'm trans. I have had, more than once, to go to a front desk in order to be let into my room because my key has stopped working, only to have to explain that yes, I checked in under a different name because there's a law that says I have to show my ID to check in, and no, I haven't been able to change my name yet, and no, it's none of your business why I haven't done that yet. Hence, this card. I didn't make it to solve problems, as the people who would have a problem with me being transgender wouldn't have their minds changed by a card. No, this is to make my life easier because I can now quietly, privately inform people without making a scene and embarrassing either of us. I've run the wording past a friend who works in the hospitality industry and she's approved it. According to her, trans people at front desks happen all the time and the staff is used to it. And if you do happen to get that one person who has a problem with you being you, well, you can show the manager the card you showed the desk clerk as proof that you were upfront with who you were, and you tried things the polite way, and perhaps the employee shouldn't be interacting with guests if they react in such a way. But I don't anticipate many problems like that. I expect most of the awkwardness will be felt by the trans person, and this card not only helps defuse it but also eliminates the need to talk (handy if someone has social anxiety). Or put another way: I made this card for my own use. If you think it would be useful in your life, please order some for yourselves. Nothing would please me more than to know I helped people out of an awkward, uncomfortable situation.